A poorly performing database application not only costs users time, but also has an impact on other applications running on the same computer or the same network. SQL Tuning provides an essential next step for SQL developers and database administrators who want to extend their SQL tuning expertise and get the most from their database applications. There are two basic issues to focus on when tuning SQL: how to find and interpret the execution plan of an SQL statement and how to change SQL to get a specific alternate execution plan. SQL Tuning provides answers to these questions and addresses a third issue that's even more important: how to find the optimal execution plan for the query to use. Author Dan Tow outlines a timesaving method he's developed for finding the optimum execution plan--rapidly and systematically--regardless of the complexity of the SQL or the database platform being used. You'll learn how to understand and control SQL execution plans and how to diagram SQL queries to deduce the best execution plan for a query. Key chapters in the book include exercises to reinforce the concepts you've learned. SQL Tuning concludes by addressing special concerns and unique solutions to "unsolvable problems." 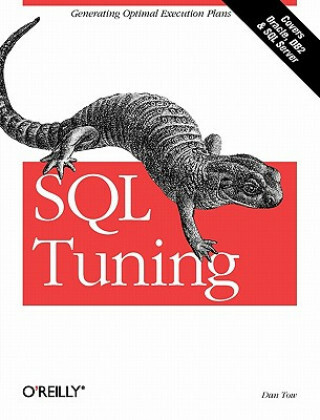 Whether you are a programmer who develops SQL-based applications or a database administrator or other who troubleshoots poorly tuned applications, SQL Tuning will arm you with a reliable and deterministic method for tuning your SQL queries to gain optimal performance.